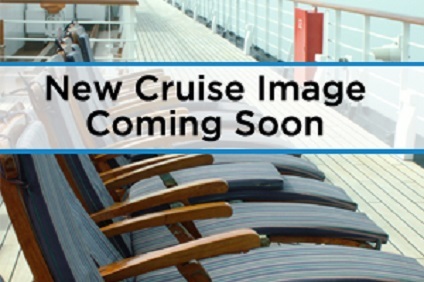 Silversea Cruises is happy to present, Silver Muse. The new ultra-luxury ship was built by Fincantieri and at 40,700 grt accommodates 596 guests. Representing an exciting evolution of Silver Spirit, Silver Muse redefines ultra-luxury ocean travel - enhancing the small-ship intimacy and spacious all-suite accommodations that are the hallmarks of the Silversea experience. The addition of Silver Muse expands Silversea's fleet to nine ships, and once again significantly raises the bar in the ultra-luxury cruise market with a wealth of enhancements to the onboard experience, while satisfying the uncompromising requirements for comfort, service, and quality of the world's most discerning travellers. 13 Night cruise departing roundtrip from Tokyo onboard Silver Muse. 16 Night cruise departing from Tokyo to Seward onboard Silver Muse. 10 Night cruise departing from Seward to Vancouver onboard Silver Muse. 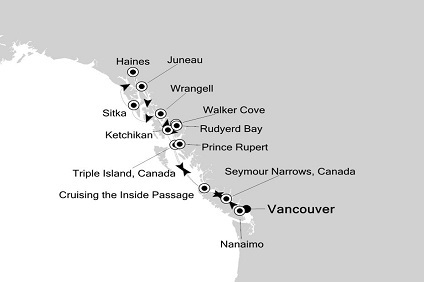 11 Night Cruise sailing from Vancouver roundtrip aboard Silver Muse. 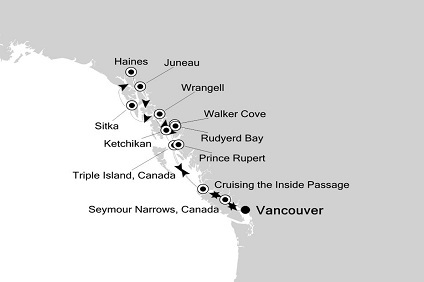 10 Night Cruise sailing from Vancouver roundtrip aboard Silver Muse. 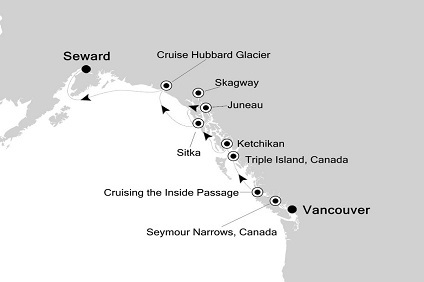 7 Night Cruise sailing from Vancouver to Seward aboard Silver Muse. 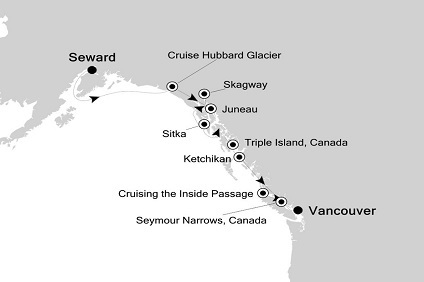 7 Night Cruise sailing from Seward to Vancouver aboard Silver Muse. 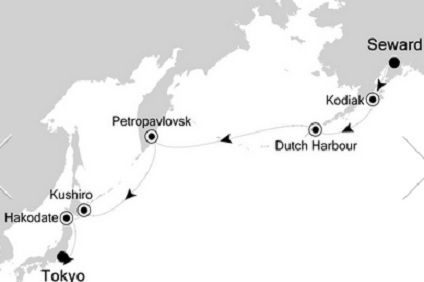 14 Night Cruise sailing from Seward to Tokyo aboard Silver Muse. 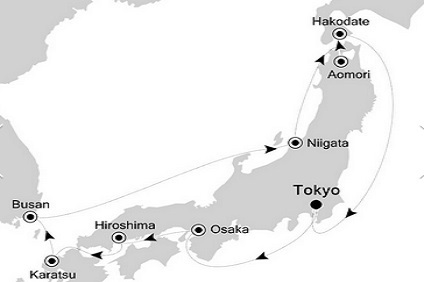 14 Night Cruise sailing from Tokyo roundtrip aboard Silver Muse. 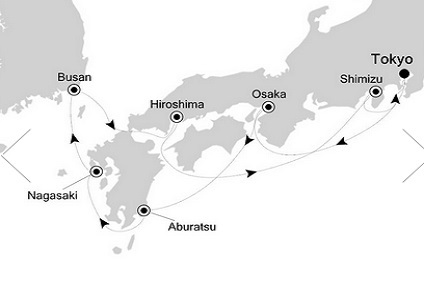 10 Night Cruise sailing from Tokyo roundtrip aboard Silver Muse. 21 Night Cruise & Stay The Shores of Japan & China Cruise onboard Silver Muse from Tokyo to Hong Kong including 5-star stays in Tokyo & Hong Kong PLUS Japan Cultural Curiosities Tour & Half Day Hong Kong Island Private Tour! 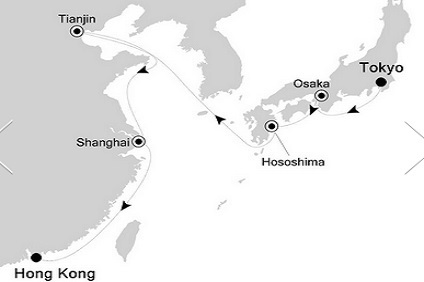 14 Night Cruise sailing from Tokyo to Hong Kong aboard Silver Muse. 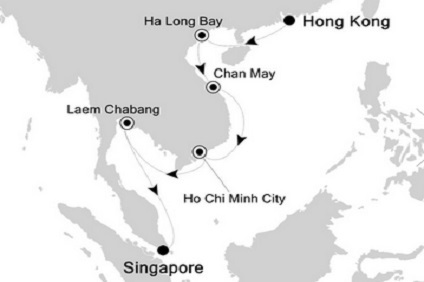 14 Night Cruise sailing from Hong Kong to Singapore aboard Silver Muse. 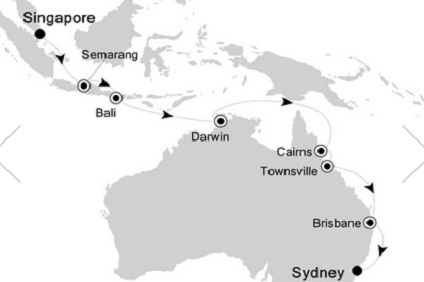 18 Night Cruise sailing from Singapore to Sydney aboard Silver Muse. 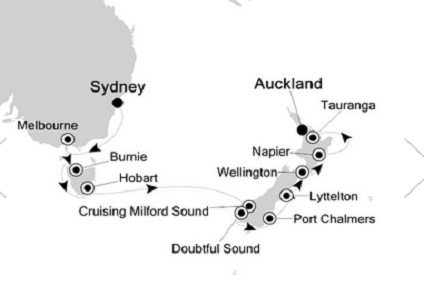 14 Night Cruise sailing from Sydney to Auckland aboard Silver Muse. 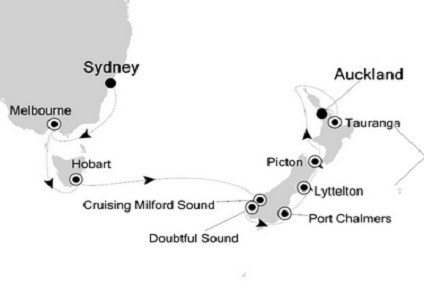 14 Night Cruise sailing from Auckland to Sydney aboard Silver Muse. 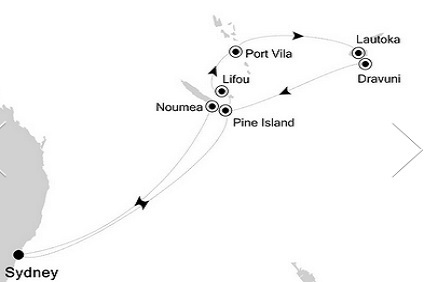 13 Night Cruise sailing from Sydney roundtrip aboard Silver Muse. 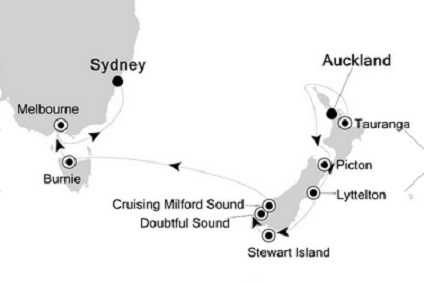 16 Night Cruise sailing from Sydney to Auckland aboard Silver Muse.